It's Wovember, which means a month of celebrating all things wool! Of course, I treat every month as though it's Wovember, but I am doing a few special things to mark the occasion. I attended Beth Smith's breed study workshop - this wasn't explicitly for Wovember, but it certainly kicked off the month of wool! I learned a whole bunch about some very different breeds of sheep. 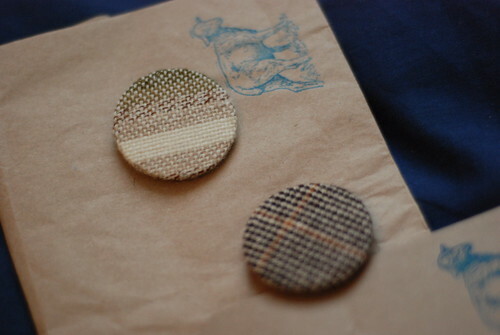 I've been wearing my Wovember badges with pride - I got these from Felix's shop. 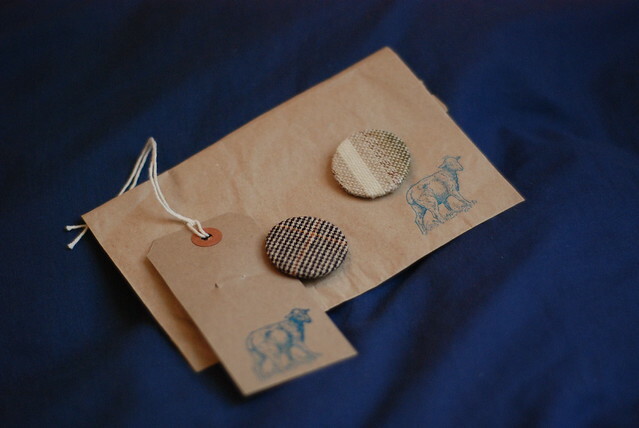 Not only are they beautiful themselves, but they come in the nicest sheep-themed packaging. Finally, I've started ordering wools for Layter. I been admiring this cosy cardigan/jacket for a long time, so I'm thrilled that the pattern is finally out. It's incredibly thorough, which is a boon for such an unusual construction, and looks like it will be a joy to knit. The original Layter(s) were knit entirely out of wool from Blacker Yarns - I'm sourcing my yarns from a variety of sources, all of which are either small UK operations or organic, in a rainbow of natural shades like the original.